Brother William McPhee PM was presented with his 50 Years Jubilee Certificate in Lodge Ancient Stirling No 30 at their Regular Meeting held on Tuesday 2nd April 2013. 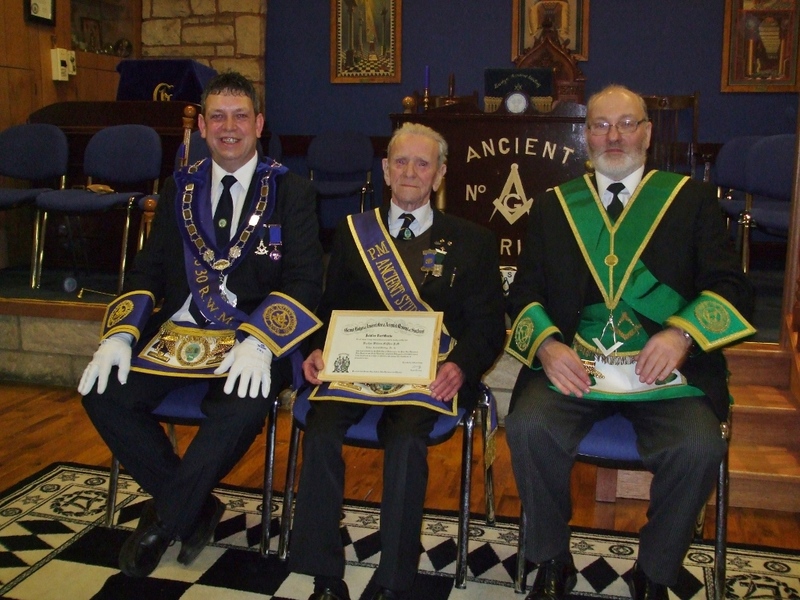 The picture below shows Brother Willie flanked by Brother Alistair T. Marshall, Provincial Grand Master Depute and Brother Alastair Laird, RWM of Ancient Stirling. Brother Willie was installed in the Chair of his Mother Lodge in November 1971. He is now aged 85 years.